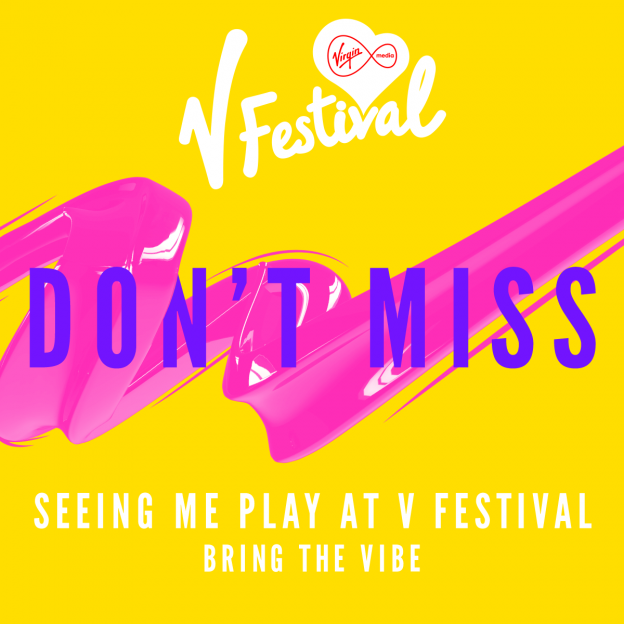 V Festival 2014, sponsored by Virgin Media, have today announced that Pixie will join Tinie Tempah, Childish Gambino, CeeLo Green, John Martin, Pixie Lott, Sophie Ellis-Bextor, Vance Joy, Chloe Howl, Josh Record, Jess Glynne, Icona Pop, Howling Bells, Becky Hill and To Kill A King at this year’s festival which takes place 16-17th August in Hylands Park, Chelmsford and Weston Park, Staffordshire. These exciting acts join headliners Justin Timberlake and The Killers, plus Lily Allen, Ed Sheeran, Rudimental, Chase & Status, Kaiser Chiefs, Elbow and many more to play at what is set to be the most exciting weekend of the summer. Tickets are on sale now from www.VFestival.com. Pixie will be back at V, riding high from the success of her single ‘Nasty’. With many more exciting V Festival announcements to come be sure to keep up to date with all the latest news at www.vfestival.com.